Type specimen. 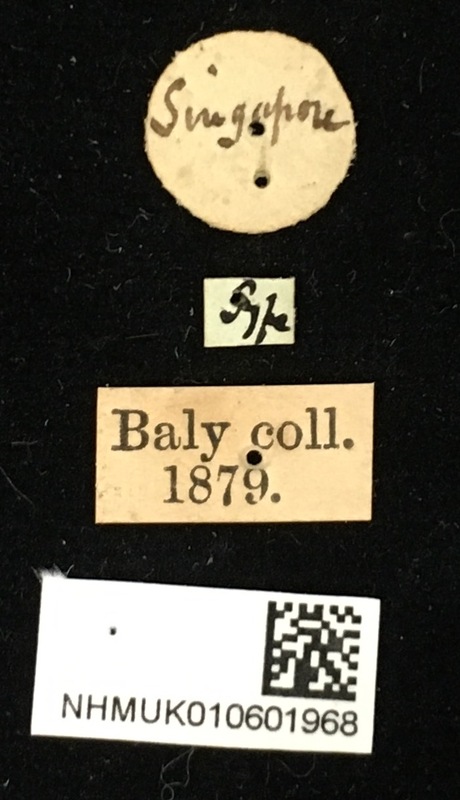 Specimen collected by Wallace. Specimen locality: Singapore.